Biofuel makers worry that the company could give algae a black eye. The IPO filing many in the algae industry have dreaded has arrived. PetroAlgae, which says it has developed a way to turn algae into fuel economically, has filed an S-1 with the Securities and Exchange Commission, the procedural prelude to an IPO. Over 100 companies have proposed converting algae into fuel. Only a few of the startups (Solazyme, Solix) have actually made algae and revenues so far are somewhat small. At best, algae won't be a commercially viable fuel for years. Most are still struggling. Ergo, any company filing for an IPO at this juncture is bound to raise eyebrows. PetroAlgae claims that its process could lead to fuel that would be competitive with fossil products "even with crude oil prices as low as $20 a barrel." PetroAlgae, though, creates even more skepticism because of its structure. The company has reported no revenue over the last three years and has had recurring losses. In 2007, 2008 and 2009, it lost a collective $58 million. That said, at one point earlier this year, it had a $2.77 billion market capitalization on the OTC exchange because of buybacks and other issues. "We have been and continue to be a development-stage company. As a result, we have no significant history of revenues, operating or net income, cash flows or the other financial performance metrics that will affect the future market price of our common stock," reads the S-1. At least we applaud the honesty. The company has been working for months to prepare this latest round of fundraising, according to sources in the industry. The fear is that the backlash against PetroAlgae will hurt the algae industry as a whole. PetroAlgae grew out of a incubation center called the XL Group. It has claimed it can generate 10,000 gallons to 14,000 gallons of fuel a year per acre, higher than the industry average of 1,000 gallons to 5,000 gallons. It grows the algae in bioreactors, i.e., sealed bags of water bathed in carbon dioxide and sunlight. Greenfuel Technologies spent $70 million dollars on bioreactors before going belly-up. (Greenfuel recently sold its intellectual property for a modest amount to an algae company touted by the Bronfman family.) 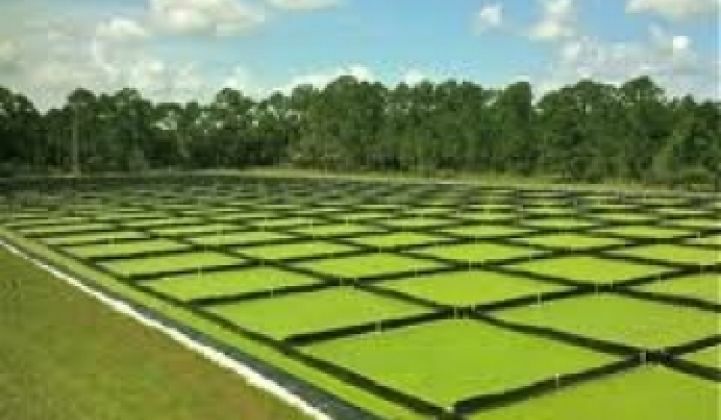 Most algae companies propose growing algae in some form of bioreactor. Rather than building growing ponds and refineries itself, PetroAlgae says it will license its technology. Still, it's not a bad place to make a living -- CEO John Scott pulled in $477,000 in salary last year.